Made at a time when America was obsessed with foreign influence, Pickup on South Street tells the tale of an unsophisticated guttersnipe with a heart of gold: a beautiful but dangerously unaware woman who unwittingly finds herself involved in international espionage. Jean Peters plays Candy, a born-on-the-wrong-side-of-the-tracks broad who’s aware that she’s a “dish,” but unaware of the perils of hidden intent. Her boyfriend/benefactor/blackmailer is Joey (Richard Kiley), a Communist spy charged with procuring and passing a piece of microfilm that contains an American secret. Candy thinks Joey is on the up and up: she has no idea that he’s a “commie.” And Joey thinks that she’s the perfect carrier: a wayward woman whose self destructive main focus is people pleasing: at any cost. 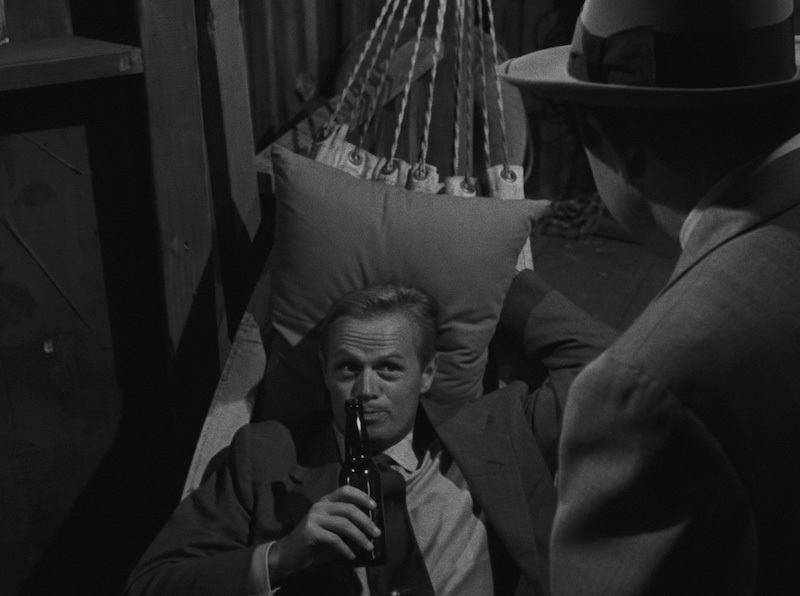 Skip McCoy (Richard Widmark), an evilly seductive ne’er-do-well turns the movie upside down. Just out of jail and one strike away from being sent to the slammer for good, he can’t resist pickpocketing Candy in a crowded subway car. What was supposed to be a simple purse grab ends up plunging Skip into a world filled with private investigators, FBI agents and two-faced detectives. 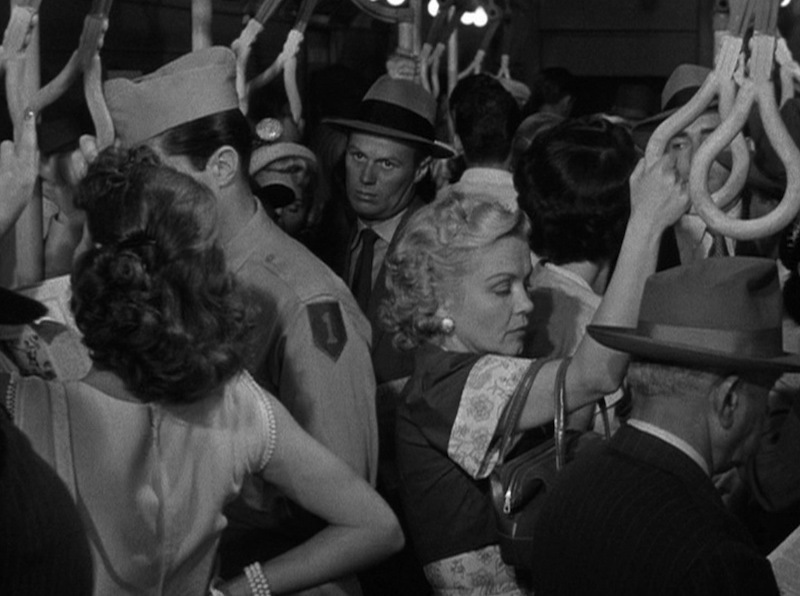 Photographed in arresting Film Noir style—lots of high and low angles, fractured-face close-ups, and intimidating shadows, Pickup on South Street is memorable for both its straightforward anti communist rhetoric and its unapologetic misogyny. Women in this film are thrown around, beaten up and gunned down with unnerving relish—even endearing professional snitch Moe (Thelma Ritter—Bette Davis’ sardonic maid in All About Eve). Worth a look for (projected) New York City locations as well as a Hollywood sound stage recreation of a NYC subway platform (on which well staged altercations take place), Pickup on South Street is fast-moving, urban survivalist propaganda with a pro-America twist. Audacious and entertaining.